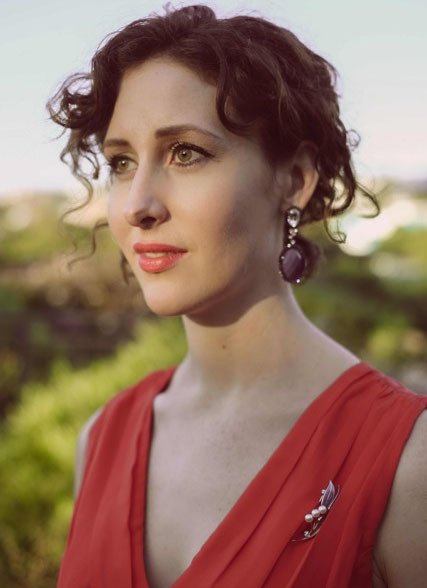 Vivien Conacher is mezzo-soprano opera singer and founder of Songhaven, a professional concert series in central London that welcomes people living with dementia as well as their carers and companions. She has worked with people living with dementia since 2014, and hopes to bring the Songhaven experience to more communities in London. I founded Songhaven, a monthly dementia-friendly concert series at Lumen Church & Cafe in Central London. Our concerts give people living with dementia the dignity of a professional live music experience, and audience members are encouraged to respond to the music in whatever way is natural for them - singing along, moving to the music, closing their eyes - pretty much anything goes, which means companions and carers can relax too. A year on since our first Songhaven concert, and we really have become a tight-knit community. I think it’s the combination of the high-standard music making plus the friendly atmosphere, free of judgement, that keeps people coming back again and again. I have worked with people living with dementia since 2014 and have seen the power of music first hand. At one of my dementia-friendly singing workshops, a lady who had lost her facility with speech suddenly joined in with me to a song from The Sound of Music, belting out the lyrics word-perfectly from memory. It’s hard to describe how powerful that moment was. Songhaven is my way of creating something special for my community. At our very first concert, from the very first song, a man started to move and conduct in time with the music, with utter joy and innate musicality. I later learned he was a jazz pianist so he feels rhythm and melody as a full-body experience. Seeing him react so naturally to the music, without his partner having to quieten him in any way, was such a clear sign that we were onto something. Everyone loves having him there at our concerts - this for me is what it’s all about. The Songhaven concerts at Lumen will continue in the style that our audiences know and love - the formula works so well that I wouldn’t want to mess with it at all. I am in discussions with some other venues and I hope to bring the Songhaven experience to some other communities in London. I am also constantly on the lookout for the right funding streams to support the series long-term. I think the term “dementia sufferers” should be banned. It’s just so negative and dehumanising and I’d love to never see/hear those words in the media ever again. If in doubt, “people living with dementia” is much better - they are people first; the condition is secondary. Special thanks to St Andrew Holborn Charity and Camden Giving, Sue Heiser and the Songhaven team!